Posted April 15, 2019 by laurielmorrison & filed under Every Shiny Thing, Up for Air. Hello, friends! This is an exciting spring! 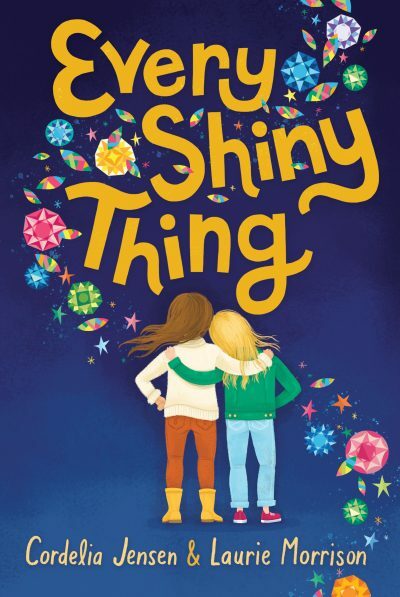 Last week, the paperback edition of Every Shiny Thing came out, and now we’re quickly approaching the publication date for my second book, Up for Air, on May 7th! Instead of writing posts for my own blog, I’ve been busy doing interviews and writing essays for other sites as I celebrate these two books. I’ll do a couple of round-up posts here this spring in case you want to check out those posts. In honor of the paperback launch of Every Shiny Thing, Pop! Goes the Reader hosted my co-author Cordelia and me a little while back to show off the beautiful new cover and share an interview with our editor, Maggie Lehrman, about why books sometimes get new covers when they go to paperback. If you’re interested in the behind-the-scene process of paperback repackaging, check it out! 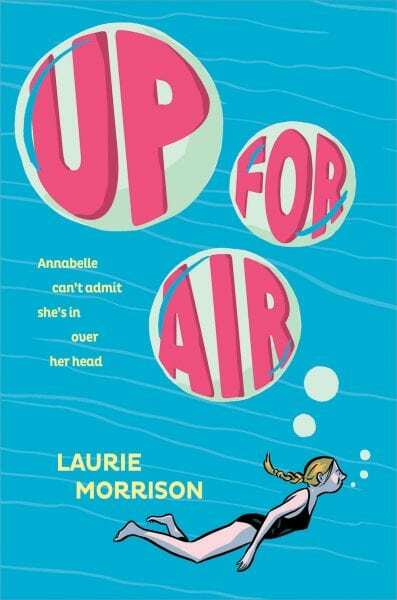 I’ll have some more guest posts and interviews to share in the weeks leading up to the publication of Up for Air, which has earned starred reviews from Kirkus and Publishers Weekly and has been chosen as a Junior Library Guild Selection! I’m so grateful for this early support for the book. Up for Air will be available in stores and from online retailers starting May 7th, but if you’d like a signed copy, you can order from Children’s Book World Haverford, I’ll personalize it, and the store will ship. Thank you for your support, and happy spring! Hope you’ll have time to come on the blog when you come up for air! (😀 😁 I couldn’t resist that. But seriously, would love to discuss Up for Air.) Congrats on the Junior Library Guild Selection. They have good taste.